Vaccine “science” as it’s most typically presented to the public is a hollow house of cards propped up only by deception and lies. Ask any doctor out there to show you even just one all-cause morbidity and mortality study proving the safety and effectiveness of vaccines and you’ll never get to see it, because such a study is nonexistent. Johns Hopkins University graduate Dr. Robert Rowen has been investigating the claims surrounding the “safety and effectiveness” of vaccines for many years, and his undeniable conclusion is that vaccines don’t work and they aren’t safe. The measures by which the modern medical profession claims that vaccines are safe and effective don’t hold water, he maintains, and are easily disproven. 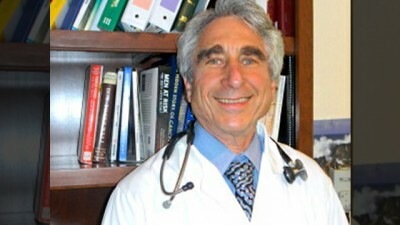 “In China, well over 90 percent of large populations are getting vaccinated, and allegedly they have immunity, and they measure immunity by immunoglobulins,” explained Dr. Rowen during a recent interview with NaturalHealth365.com host Jonathan Landsman, which is available online for free through the Vaccine World Summit. A widespread misconception holds that vaccines are the only way to attain immunity and avoid infectious disease. But quite the contrary is actually true, as vaccines only provide temporary immunity, at best, while simultaneously and significantly increasing the risk of immune dysfunction, behavioral disorders and other major health problems. “There’s a graph of how these communicable diseases have fallen since the introduction of vaccines, and a corresponding, parallel, identical rise in chronic immune dysfunction, like asthma, arthritis, multiple sclerosis, and others,” warns Dr. Rowen, who used to advocate for vaccines before he understood their true risks. Dr. Rowen cites a study published in the Journal of the American Medical Association (JAMA) back in 2010 that highlights a doubling in the rate of chronic health conditions among children between the years of 1994 and 2006 — from 12.8 percent to 26.6 percent. This directly corresponds with substantial increases in the number of vaccines added to the government’s vaccine schedule. Another study he references demonstrated that infant mortality rates are higher among vaccinated children. “Do we want to be trading a few less problems with measles, or these other illnesses which are far more benign — mumps is benign, chicken pox is benign, German measles, rubella is totally benign [unless it’s caught by a pregnant woman] — do we want to be trading a few less complications from that for a doubling in chronic [immune] diseases that we can’t treat?” asks Dr. Rowen.